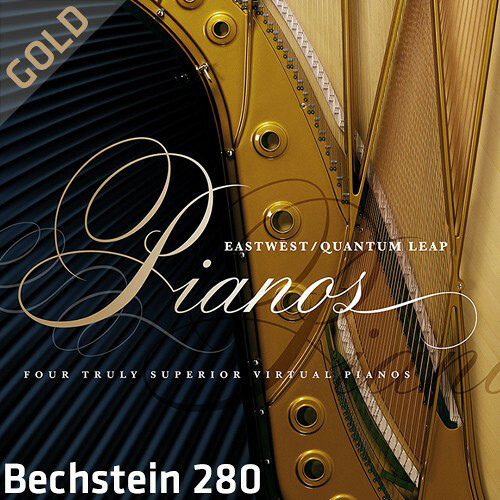 Available for download, the EastWest Quantum Leap Pianos Bechstein 280 Gold Edition is a virtual piano that samples an 88-key, 9' German concert grand. The timbre of the instrument is precise and technical, quite suited to demanding classical works and pop music alike. In fact, the rock and pop patches offered here have been recorded under the tutelage of legendary engineer/producer Ken Scott.